My birth doula pricing is detailed here to allow you to make an informed decision about my services, in the same way that I intend to help you make informed choices about your birth care. A complimentary 30-minute consultation is available to all potential clients as an opportunity for us to interview each other and determine the best avenue for meeting your labor and birth desires. Birth work has been my calling since the late 1990s. I've passionately pursued "all things birth" for 20 years now! Having supported 285+ families as of 2018, I’m one of the most experienced birth doulas in Middle TN. The market value of my services — a reflection of my training and experience in comparison to other doulas in the region — could easily reach $2000. I can comfortably accept between $800 and $1800 as acceptable payment for my doula services. This is a "no questions asked" sliding scale — no application, no expectations, no guilt. If you pay $1800, I'm happy. If you pay $800, I'm happy. If you choose an amount in between, I'm happy. Everyone receives the same professional care and support, regardless of which end of the scale they choose. The minimum total fee for my doula package is $800, with a $400 deposit due regardless of the final total you choose to pay. Why is my pricing set up this way? I would like the opportunity to be well compensated, but I also don't want to leave behind families who may not be able to afford my full fee. My preferred fee of $1800 is in keeping with the going rate for doulas in the Middle TN area. It's a long overdue adjustment in my rates (as those who have followed my work will know), since I was already charging $800 back in 2010 and have supported >200 additional births since then. And those are labors and births I've personally been present for. Although I could, I don't count the hundreds of families I have taught classes to, consulted with privately, or encouraged along their birthing journey through countless hours of free education on social media, or the many doulas who consult with me on how to best support their own clients. Photo credit: Sarah Shambaugh Photography; used with permission. What do you think my services are worth? What can you pay towards that number? I hope all of you will agree that my services are valuable! I trust that those of you who are able to pay the full fee will do so, allowing me to joyfully continue offering my skills at a lower rate for those who cannot. Payment Schedule: $400 as a deposit, balance due by 36 weeks. Custom payment schedules available upon request. A non-refundable retainer/deposit of $400 secures your due date on my calendar; any unpaid balance is due at 36 weeks. There is no change in my fee if your labor is long. I accept 4 clients per month on average. If your month is already full, we may be able to make special arrangements or I can refer you to one of my wonderful colleagues/back-ups. 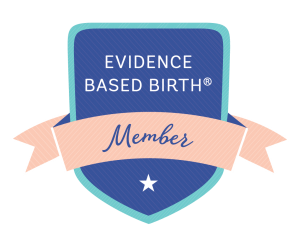 As a BONUS, families are granted access to the Evidence Based Birth® Savvy Birth Online parents dashboard, an online resource exclusive to clients of EBB Instructors. Explore the Savvy Birth 101 class on 6 steps to getting evidence based care, learn all about how to prepare a Birth Plan, and access the full PDF library of EBB Signature Article and 1-page summaries. We'll discuss this content in our prenatal visits. 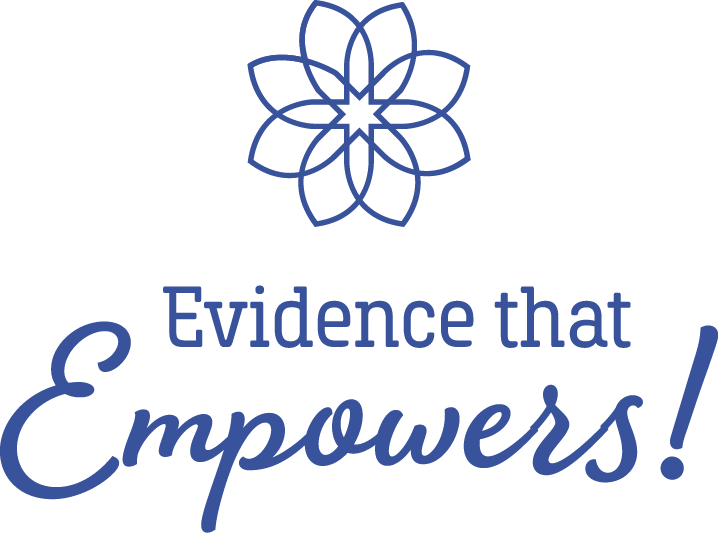 Birth Doula clients also receive a $125 discount on the 6-week Evidence Based Birth® Childbirth Class! According to current research, "if you have continuous labor support (that is, someone who never leaves your side), you are statistically more likely to have better outcomes and your baby is more likely to have better outcomes!" How do I accomplish that? What does that continuous support look like? There are a variety of skills an experienced birth doula will use while helping a woman through labor. The list below highlights techniques and tools I use with every client. I call them the Doula Care Essentials. Birth work has been my passion for nearly two decades now. Pregnancy is such an amazing time in a woman's life — unlike anything else she'll experience — and I get to be a part of that. It's a blessing and a privilege. And it's hard work! "What exactly does a birth doula do?" I offer professional support for laboring mothers and their partners, which includes physical comfort, information and ideas (drawn from my knowledge as a childbirth educator and 18 years of experience as a birth doula), and emotional support during labor in any birth setting – hospital, birth center, or home. Fun fact: the modern usage of the word doula is derived from an ancient Greek word that literally means "a female slave." It comes from the feminine form of the word that is used in the New Testament of the Bible when Paul refers to himself as a bondservant. Yes, I'm here to serve you! In my career, I have worked with new and experienced mothers, natural birth, hydrotherapy, water birth, cesareans (planned, unplanned, emergency), induction, medicated births, vaginal birth of twins, VBAC, VBAmC, mVBAC, preterm birth, high-risk pregnancies and births, mothers over 40, families conceiving with ART and IVF, open adoption, trauma survivors (Childhood, Sexual, Birth), and more. Over 275 families have chosen me to be their doula, their “tour guide in a foreign land.” I’ve consulted with hundreds more through my community education efforts in public forums and in private conversations. Since moving to Middle Tennessee in 2011, I’ve attended births at Vanderbilt, Baptist/St. Thomas Midtown, Centennial, Gateway/Tennova, Blanchfield, Baptist Health Madisonville (KY), NorthCrest, Summit, Hendersonville, Sumner Regional. I’ve supported many births at Baby+Co Birth Center in Nashville and love attending home births. If your chosen birth place is not listed, contact me to confirm that it is within my service area. My travel radius covers locations within 1.5 hours of zip code 37035. My FAQ page addresses the most common doula interview questions. You should soon be ready to request a free consultation where we can meet in person and discuss working together. My availability calendar is maintained via DoulaMatch.net; however, always confirm with me before assuming that I'm booked for your due date. I always have a few other doula colleagues on-call for me as a backup should there be a schedule conflict, should your labor overlap with another person in labor or with one of the professional workshops I teach locally. My commitment to provide you with support includes this backup doula provision at no additional charge.